Kronomyth 5.2: Hello again, Jeff. Jeff Beck and Stanley Clarke had collaborated earlier on Journey To Love, but they kick that collaborative potential into overdrive on “Rock ‘N’ Jelly.” An edited version of the song that gets right to the good stuff was released as the second single from Modern Man. Although you would think that most people could listen to Beck, Clarke and Carmen Appice play together for more than three-and-a-half minutes, Nemperor aggressively trimmed off two minutes from the original, leaving just the solo showcases from Beck and Clarke. I prefer the original, but there’s no arguing that the edited single version grabs your attention. The B side is “Slow Dance” from the same album, here in unedited form. It’s honestly one of the least interesting ideas on Modern Man, but singles have a long and storied history of sheepishly choosing the worst songs for the B side, something that has always struck me as counterintuitive to marketing. The Beatles, for example, used to release double A sides on their singles, and I recall that working out pretty well for them. Released on 7-inch single in July 1978 in the US (Nemperor, ZS8 7518). 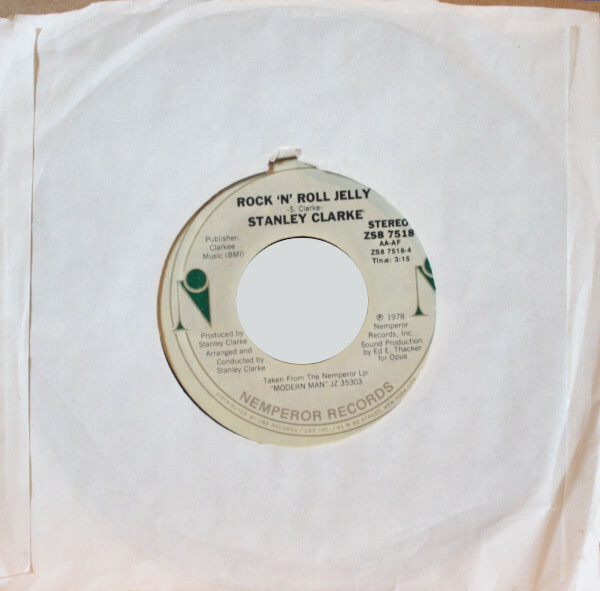 Also released as promotional 12-inch single in 1978 in the US (Nemperor, ASD-456) feat. A side only.